Upper Mustang is a restricted trekking area and as such will require a restricted area permit, cost is $500 for 10 days. It is also possible to overstay 10 days limit, but you will have to pay additional 50$ for each day. A guide is required, only group trek is permitted, of at least two trekkers, which does not include the guide. Permits and trek arrangements must be made through a recognized Nepal Planet Treks and Expedition company Kathmandu Nepal . 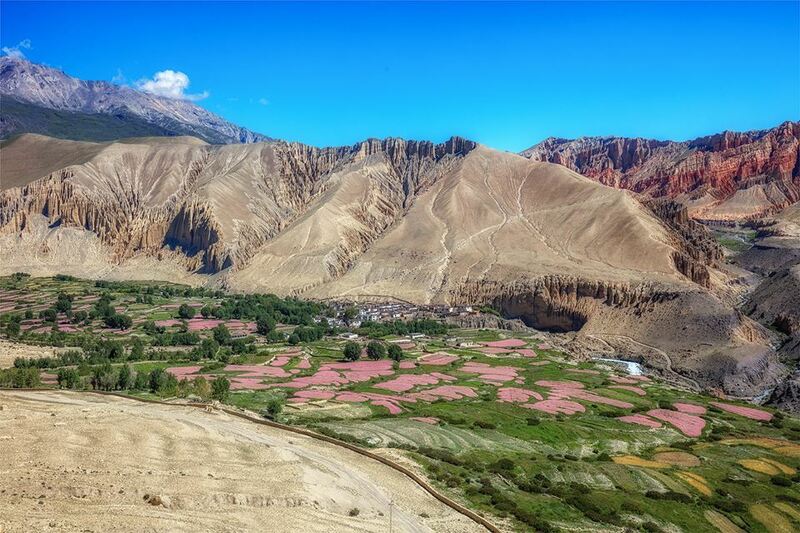 If you want to visit Mustang during a traditional festival, at the end of May, according to the local calendar, there’s Upper Mustang Tiji (Tiji) Festival 2018 – May 12, 13, 14. … Tiji (tenchi) Festival 2018 Dates Published Tiji 2018 will celebrates 2018 May 12, 13 and 14 , Lo-manthang, Upper Mustang. … General Information Upper Mustang Tiji Festival 2018 (Tiji 2018 May 12, 13, 14) Tiji is celebrated in Lo Manthang, the ancient capital of Mustang. During Tiji, the monks of Lo Manthang, dressing traditional coats and wood carved masks, representing gods and Devils, perform traditional Kham dances and give blessing to the people.